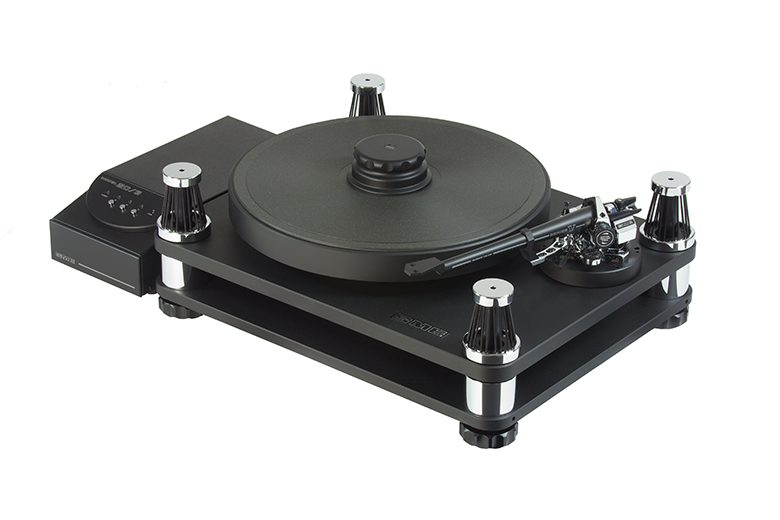 Rega has been on some roll the past few years, significantly upgrading its line and taking its low-mass/high-rigidity philosophy to impressive new heights. 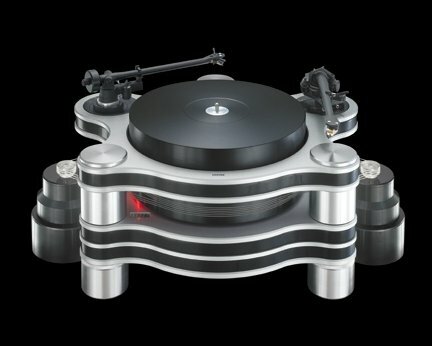 And its new top model, the RP10, outfitted with a “skeletal” plinth, new motor, ceramic platter, Rega’s best arm yet, and a new power supply, is quite the statement from this venerable British firm. The sound has a great sense of detail and dynamics and the usual audiophile checklist. But most importantly, it’s fluid, articulate, cohesive, and exceptionally immediate and communicative with its musical delivery. 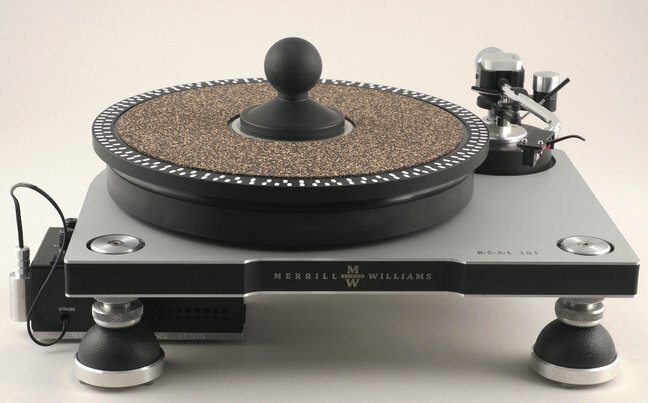 Having taken his Heirloom design as far as possible, George Merrill has produced a radically innovative, non-suspended turntable that makes extensive use of elastomers to dampen resonances (without dampening the life out of the music). Coupled with a sophisticated microprocessor-controlled motor-drive system, and optional periphery ring and clamp, the R.E.A.L. has an astonishingly low noise floor and excellent speed stability and control. Music emerges from a jet-black background without any blurring and with lots of fine musical detail. With its out-of-this-world good looks yet approachably down-to-Earth affordability Transrotor’s Dark Star conveys little sense of compromise. Fully equipped for LP playback—it is bundled with a Jelco SA-750D tonearm and a Shelter 201 moving-magnet cartridge—this belt-driven, suspensionless design picks up transient cues as if it were anticipating the record groove before the stylus begins tracking. Though a bit lighter and quicker in balance, and slightly less dynamic in the bass, than some, the Dark Star is an elegant package and a sonic delight. 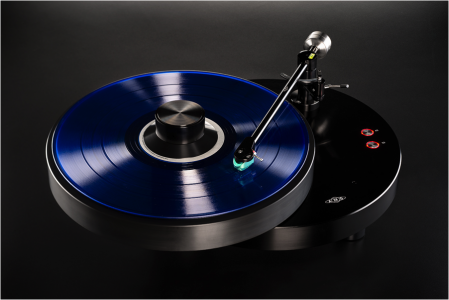 The VPI Classic Signature is an exceptional effort by a company that knows the analog landscape like few others. 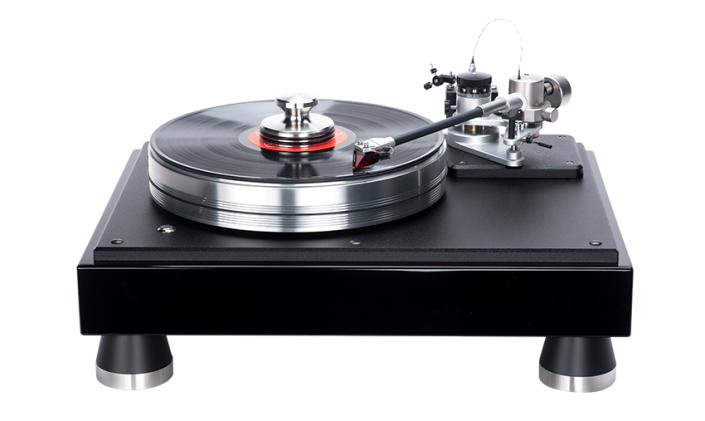 Arriving complete with the Classic unipivot tonearm, an HR-X center weight, and a PRC ring clamp to fully flatten stubborn LPs, the Classic Signature is fast, lucid, and responsive. Rhythmically it has an upbeat, forward-leaning personality with excellent timbre and pitch definition in the low frequencies. The tonearm is also brilliant, with-on-the-fly VTA adjustability and removable armwands for the slickest cartridge-swapping in town. 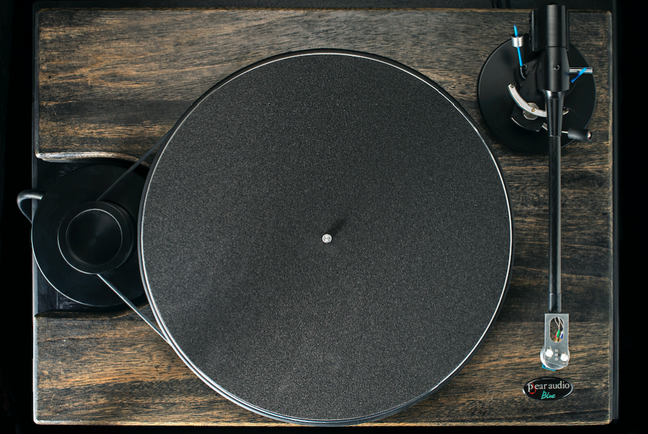 Continuing the trend of bundling together ever more sophisticated turntables, arms, and cartridges into fine-sounding but relatively hassle-free combinations, Clearaudio recently released what may be the most ambitious such package yet. With a magnetic-bearing arm and Talisman v2 Gold cartridge, the Ovation is a terrific-sounding combo. It is very well balanced, with excellent detail that emerges from silent backgrounds, exceptional pitch stability, and sweet extended highs—if not the powerhouse bottom-end found in the highest-end models. Incorporating a host of purposeful updates, the gorgeous-looking Woodpecker proves itself capable of performance appropriate to its good design execution. While having a slightly higher noise floor than much more expensively executed designs, the Woodpecker is a very capable platform for vinyl playback that should serve its owner far into the future. Something of a little brother to the AMG Viella 12 ’table and arm that was so favorably reviewed by Jon Valin several years back, the Giro G9 is a less pricey machine boasting much of the technology and outstanding build-quality of the Viella for roughly two-thirds the price. The full review will be coming shortly, but time spent with the Giro indicates that it too should cause much excitement for vinyl loving music lovers. 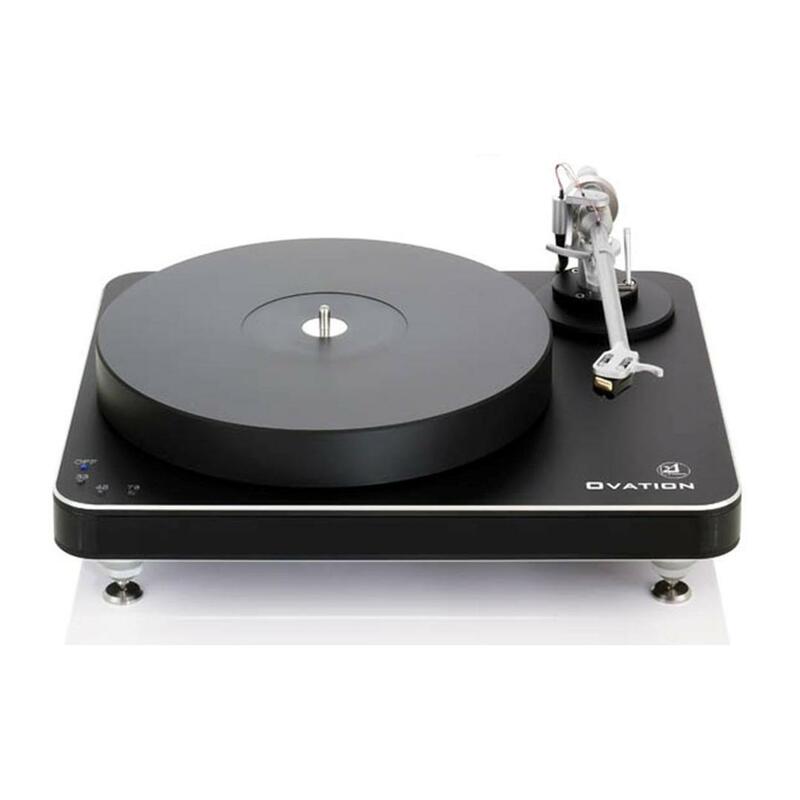 This classic turntable boasts superior tonal neutrality, soundstaging, background silence, and isolation. 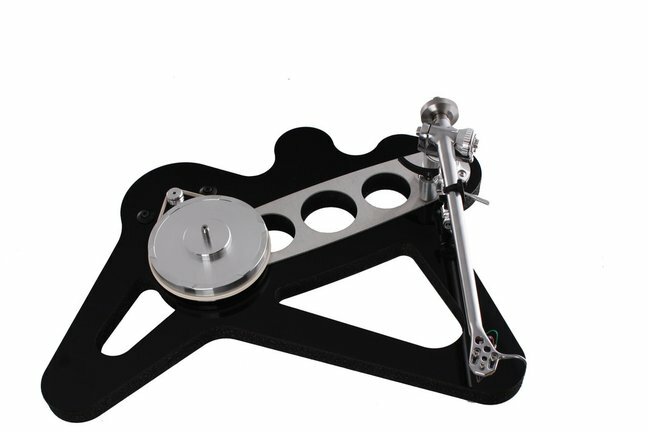 It can accommodate virtually any tonearm that weighs less than 2.5 pounds, while the massive suspended subassembly renders the Cosmos essentially immune to feedback. 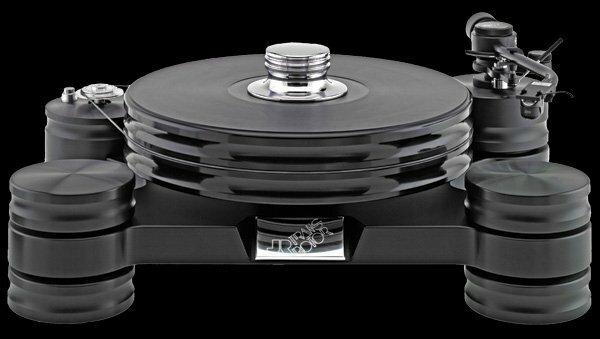 A vacuum hold-down system negates warps, while binding the record to the platter far more intimately than any clamp or ring. There isn’t a lot that is innovative as-such about the Palmer 2.5, just a number of tried and true principles (belt drive, constrained damping) in a fundamentally simple design executed to the nines. Sonically, it’s a neutral platform that is dynamically very powerful and rhythmically precise with an impression of solidity and control, yet also relaxation, warmth, and roundedness. Beautifully finished, superbly made, completely reliable, and idiosyncratic, this is one of the most completely pleasurable turntables PS has ever used. 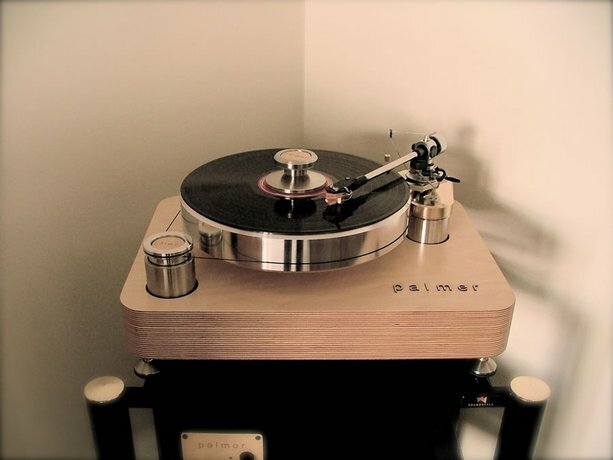 A Danish design manufactured in China, this imposing turntable sounds tonally neutral and natural, big, bold, and dynamic, yet also exceptionally relaxed, inviting, and unaggressive—very much PS’ kind of sound. Detail is excavated extremely well without being thrust at you. With an impressive amount of solid thinking and engineering (including two low-torque motors driving six silicon belts and novel use of opposing magnets for the suspension and bearing assembly) and superb fit and finish, the T60 is a true high-value as well as high-performance design. This improvement upon the middle model in SME’s lineup now brings it so close to the flagship 30/3 that it’s doubtful their performances can be reliably distinguished on even the highest‑resolution setups. Stability, control, and neutrality triangulate the virtues of this and every other SME setup, with an extraordinary impression of foundation plus a deep, deep background blackness that very few competitors can approach, let alone surpass. Built like all SMEs to the highest standards, this setup will easily last a lifetime. Based on the pedigree and designs of the late Tom Fletcher (of Nottingham Analogue fame), the Pear Audio Blue Kid Thomas is an advancement over Fletcher’s older products. Pear Audio’s goal with the Kid Thomas is “sonic harmony.” In this case, every aspect of the Kid Thomas’ design was tested, down to the smallest parts, in an effort to optimize performance. 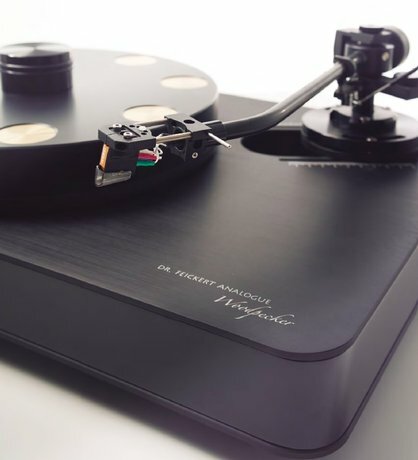 The act of merging art and craftsmanship with measurements and science allows this turntable package to become a subjectively quiet playback system that can reproduce music in a way that is similar to more expensive turntable systems.